The laws that regulate firearms in our state are detailed, sometimes confusing, and always strict. Maryland has some of the toughest gun laws in the country, and not only is it nearly impossible for the everyday citizen to obtain a concealed carry permit, but the punishments for violations of these laws are extremely harsh. The majority of the laws that regulate firearms are described in Title 4 of the state criminal laws. This section actually regulates all weapons crimes, but it is not the only place where you will find laws regulating the possession of guns. The Public Safety section of the Maryland Codes regulates everything pertaining to guns, including licensing, carry permits, sale, purchase, and also possession. The gun possession laws in the Public Safety code only apply to specific situations, but violations of these laws have extremely harsh penalties. If you or a loved one is facing a violation of the state public safety laws contact The Herbst Firm immediately for a free consultation. These laws are complex and many times even police officers do not know when they apply. Benjamin Herbst understands these laws in and out, and will fight to have your charges dropped or dismissed. Section 5-133 of the public safety code places restrictions on the possession of regulated firearms. These restrictions supersede local regulations, and violations can be charged at the same time as other violations of the weapons crimes law. This section makes it illegal for a person to possess a gun if he or she has been convicted of any disqualifying crime, which is typically a violent offense. It also applies to anyone who has been convicted of a common law crime and served more than 2 years in jail, is a fugitive from justice, is a habitual drunkard, and is addicted to a controlled dangerous substance. Yes, you read that correctly. The state can prevent an alleged alcoholic or drug user from owning a gun, and if one such person is caught by law enforcement with a gun he or she faces a felony conviction with a minimum 5-year prison sentence. No portion of this sentence may be suspended, and the defendant will not be eligible for parole. 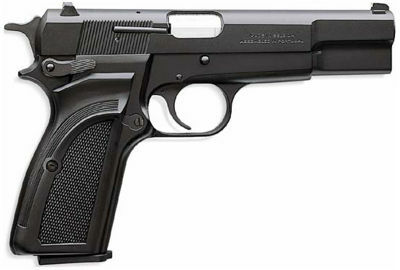 Anyone who suffers from a mental health disorder or has been confined in a mental health institute for 30 days or more may also be prohibited from owning a firearm unless he or she provides a physicians certificate stating that the patient is capable of possessing a regulated firearm without undue danger. In other words, the burden is on the person and not the state. The public safety code also provides restrictions and punishments regarding the sale, rental, or transfer of regulated firearms. Section 5-134 makes it a misdemeanor punishable by up to 1 year in jail for a dealer to sell, rent, or transfer a gun to anyone who is prohibited from possessing one under section 5-133. The burden is on the dealer to conduct a thorough background check of the customer. Violations of each of these statues present a serious legal hurdle, and if you are facing one do not wait to contact an experienced criminal defense lawyer.